The average function in Google Sheets is an essential function for anyone wanting to find out an average number from a range of cells. 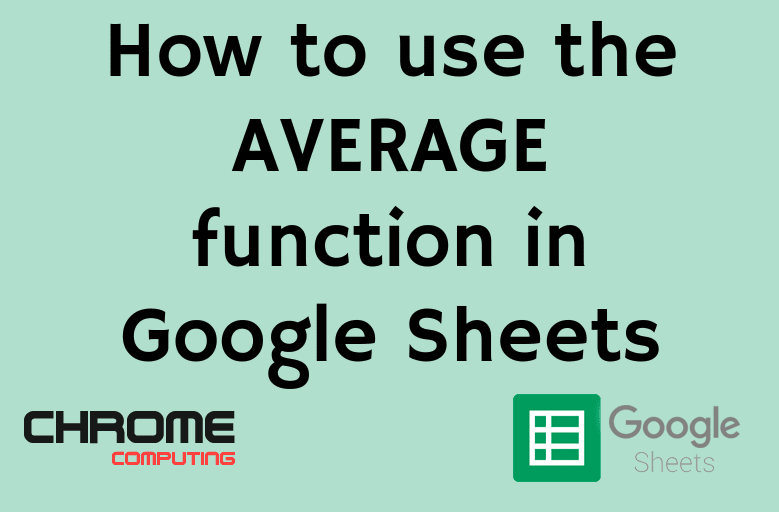 So let’s take a look at how to use the average function in Google Sheets. 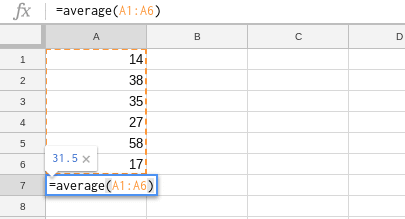 In the following example, we’ve got a list of numbers in column A of the spreadsheet. The average function allows you to find out the average from the list of numbers you include. In the example below, we are including cells A1 to A6 and the function is being entered into cell A7. The answer you should get is ‘31.5’ and this is calculating the average of all the numbers in cells A1 to A6. You can use the average function on a range of cells even if within that range some of the cells are blank or contain a zero. If the cell is blank then it will not be included in the figure that the average function returns. However, if the cell contains a zero then this will be included in the average function. So it’s important you only have zero in cells if this is the true representation of what that cell should contain. Cells containing zero will lower the average, so this is something you should look out for when using the average function in Google Sheets.